Click the image to travel Old Route 17. Welcome to the NY 17 Preservation page. Empire State Roads is part of an effort to seek recognition for NY Route 17 as a historical corridor. This is to be achieved through its designation as a Scenic Byway under the New York State Scenic Byways Program. What is NY Route 17? NY Route 17 is a touring route nearly 400 miles long. It stretches from the Pennsylvania border near Erie to the New Jersey line at Suffern, where it continues as NJ Route 17. It is the longest of more than 500 touring routes in New York State. NY 17 is also among the state's oldest touring routes, appearing on maps of the NYS highway system since its inception. (It predates even such venerable roads as US 20.) 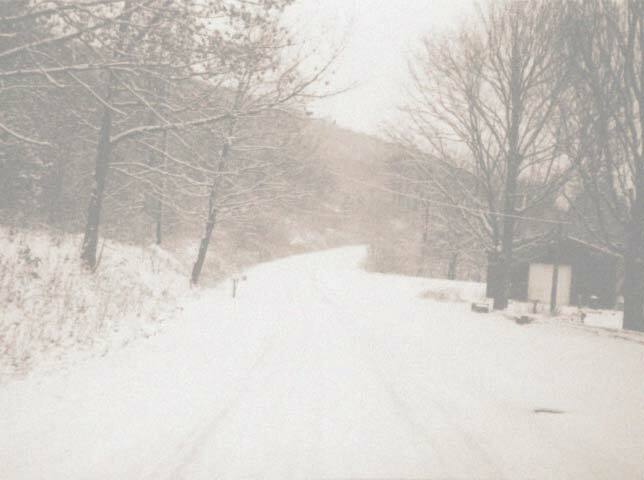 Originally, the route followed two-lane highways from Westfield to Suffern, and passed through the centers of numerous Southern Tier cities such as Jamestown, Olean, Elmira, and Binghamton. Farther east, it ran through the early resort area of the southern Catskills. NY 17 today follows an expressway alignment for most of its length, running along the Southern Tier Expressway and the Quickway. However, most of the original route is still intact, following a series of state and local highways. It is this original route for which the scenic byway designation is being sought. Why does it need to be preserved? Currently, projects are underway to upgrade the NY 17 expressway route to Interstate standards. When this is complete, the entire expressway will receive the Interstate 86 designation. (The designation is already in place west of Chemung County.) At that time, the NY 17 markings will be removed from the expressway, and this once-longest of touring routes will be reduced to a short segment in Orange and Rockland Counties. But NY 17 is not only important for its length and its age. The corridor it follows is significant for its historical, scenic and recreational aspects as well. Along its path can be found such features as Allegany State Park, the Newtown Battlefield, the National Soaring Museum, and Sullivan County's covered bridges. It also demonstrates the history of transportation development in New York State, as it traces the path of the New York and Erie Railroad and crosses the routes of several early canals. This theme is carried forward even today by the push towards Interstate highway status. The Empire State Roads NY 17 Travelogue gives a more thorough treatment of these themes. The New York State Scenic Byways Program is an initiative of the NYS Department of Transportation. Its purpose is to create themed transportation corridors across the state with the intent of fostering economic growth and resource conservation. Visit the program website for complete information. The historic NY 17 corridor is an ideal choice for Scenic Byway designation. It fits into all of the Scenic Byway themes devised for the program. Furthermore, it is one of the major travel corridors in the state. With the Interstate 86 project comes anticipated growth in long-distance commerce for the Southern Tier. A Scenic Byway along the old NY 17 corridor would provide complementary growth on a more localized level, from its associated tourism and recreational activities. Public Participation: Meetings among interested business owners and individuals, both in favor of and opposed to the byway. Stewardship: Organizations to be responsible for maintaining the byway. Tourism/Marketing: Publicizing the route and determining its impact on tourism. Funding/Management: Establishing a supervisory group. We are trying to create as much public interest and involvement as possible. If you'd like to be a part of this project, we strongly encourage you to join the NY 17 discussion group. Also, for more information on what you can do to help, e-mail the webmaster at preserveny17@empirestateroads.com.